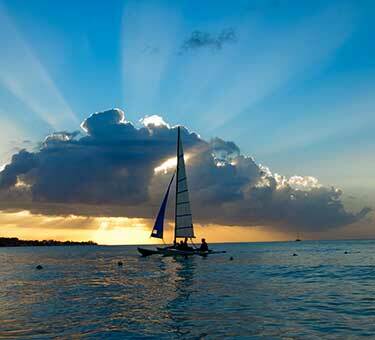 Sugar-soft sand beaches, lush rainforests, and friendly locals makes Jamaica a one-of-a-kind Caribbean gem. 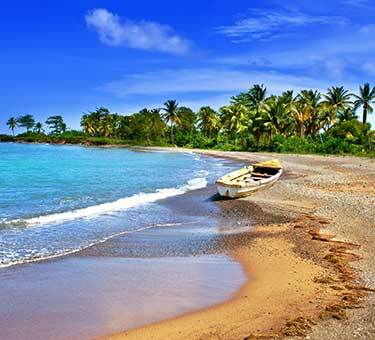 As the third largest Caribbean island, Jamaica is home to nearly 2.6 million people and almost 700 miles of white and gold-sand coastlines. Known worldwide for its friendly locals, laidback spirit, and beautiful beaches, Jamaica is a passionate and lively island. Whether you want to tour a rum or coffee farm, visit Bob Marley’s hometown or snorkel on a secluded white-sand beach, destination weddings in Jamaica give you something romantic, adventurous, and playful to mark off any travel bucket list. 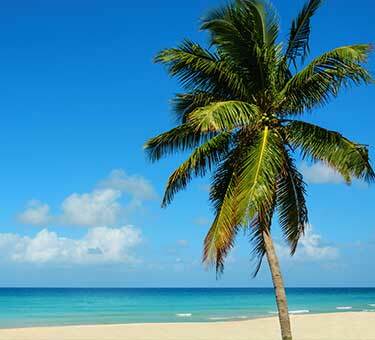 Our collection of Jamaica destinations showcase the great diversity of Jamaica wedding packages. If you’re looking for a fast-paced and amenity-filled getaway, Montego Bay is Jamaica’s iconic tourist hub, with supple white-sand beaches and lively nightlife. 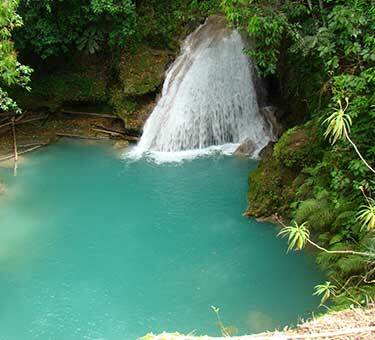 Or, try Ocho Rios, a bustling resort port with excursions ranging from waterfall climbing to rainforest zip lining. 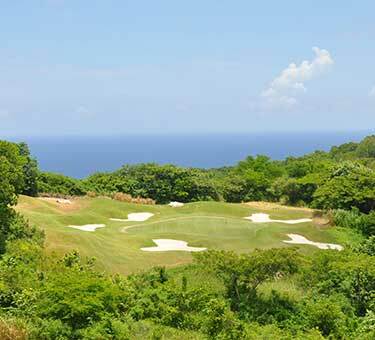 Off the beaten-path in the farm and fishing towns of the southwestern coast, Negril and Treasure Beach are quiet and authentic Jamaican communities with battered limestone cliffs that drop dramatically into the sea. 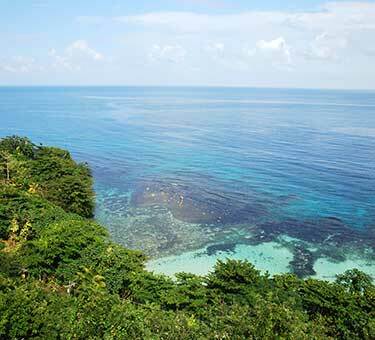 Here, you will find secluded coves, preserved beaches and lush rainforest perfect for a romantic retreat. In short, Jamaica wedding venues provide enough possibilities to surprise even the most seasoned travelers with its flavorful options and endless heart.